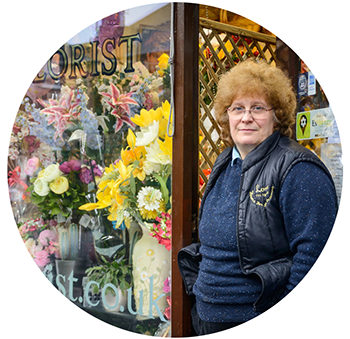 Lorna Florist is a sole-trader family business that was established in 1950 by the mother of the shop’s current owner, Angela Spencer. The business has remained in the original premises ever since it opened, and Angela was even born in the back bedroom! The shop uses as little water as possible for a number of reasons, including to keep costs down and also because the vases become very heavy to carry from one room to the next if they are filled too high. 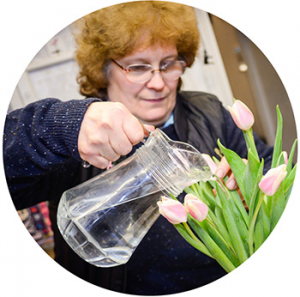 “There’s no point in wasting water by over-filling the vases, and we are generally very careful to conserve water, which is a very precious commodity,” Angela says. The company currently spends around £16 a month by direct debit for its water and wastewater services from Severn Trent. Angela also uses a meter to monitor water consumption closely, and recycles the water from her washing machine to keep her yard clean.